Portrait of a Reader is a new feature in which we try to “unpack” a particular kind of reader. The portraits will overlap; most people will fit into more than one. Rather than being a personality test, this is more of an interest-based and ability-based description. 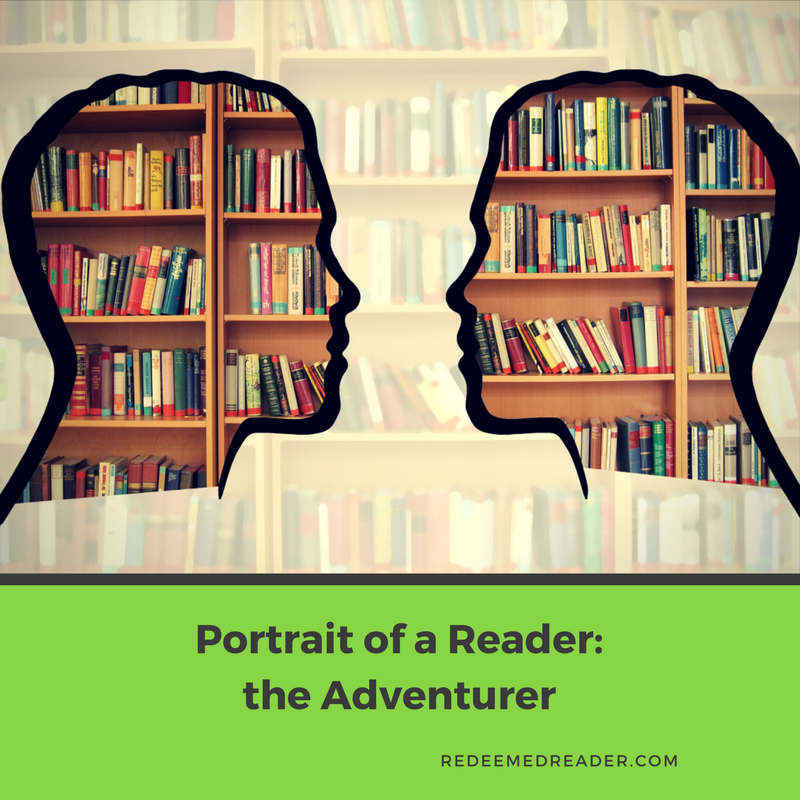 Meet the Adventurer: a Lover of Adventure in Books and in Real Life! Adventurers are the kinds of kids who love to read an action-packed narrative and have little patience for more contemplative or emotional titles. It’s easy to assume that all boys fall into this category, but don’t make that mistake! On the contrary, plenty of girls DO fall into this category, and plenty of boys fall into other categories. Kids who are adventurers have many and diverse interests. A girl might be into sewing, archery, choir, and LEGO–all at the same time. A boy might be into football, origami, video games, and building something in the shop with dad–all at the same time. These kids get actively involved in elaborate pretend play and can invent quite the adventuring yarn of their own. They love a good action movie and can probably tell you all of the Star Wars or Lord of the Rings characters (primary and secondary). What does an adventurer like to read? What don’t they like to read it probably a better question. In keeping with their varied interests, adventurers are likely to have several titles going at once and/or have a wildly different group of books in their library stack. The common denominator will be, you guessed it, adventure! Classics like Treasure Island, The Hobbit, or Swallows and Amazons are right up their ally (whether girls or boys). Newer titles like MindWar, Peter Nimble and His Fantastic Eyes, or The Wingfeather Saga are also a good fit. Mysteries, epic fantasy, and straightforward adventure narratives (fiction or nonfiction, such as survival stories) rank high on their list. A gripping historical narrative, especially if it’s about a disaster or hard times (The Boy Who Became Buffalo Bill, Every Falling Star, 1942: Lost in the Pacific), works well, too. Note that adventurer girls will still enjoy this type of book even when they want a small dash of romance sprinkled in; The Wingfeather Saga and Where the Mountain Meets the Moon are good examples of books that pack emotional connection in the midst of action. While the types of titles mentioned above will certainly work as read alouds, this is also a great opportunity to help adventurers appreciate titles that require a bit more patience or which are more contemplative in nature. A book like Anne of Green Gables, while it was mom’s fave when she was in middle school, will work better as a read aloud than an independent read if the daughter is a textbook adventurer. Wonder and The Lemonade War are good examples of stories adventurer kids will enjoy more as a read aloud; they aren’t as likely to be “gripped” from page one on their own. Once into the story, you won’t have trouble convincing your young audience to hang in there. A note of caution, though: if you aren’t particularly skilled at reading aloud with interest, you might want to seek out the services of a professional! Check your library or a digital platform like audible if there’s a title you really want to experience with your children, but for which you aren’t sure you can do it justice. Young adventurers (not yet reading independently) will relish Shark V Train but might need a bit more coaching with This Beautiful Day. Do you have readers who are adventurers in your home? 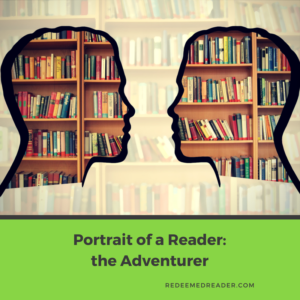 Are YOU an adventurer when it comes to reading? What titles have worked well for you and your family?